Senior Championship – Following the good win over a young Allen Gaels on Saturday last in Carrick we will now play the winner of the Ballinamore Manor replay in the Senior Semi-Final in two weeks time. following the good win over a young Allen Gaels on Saturday last in Carrick. Under 15 – These lads have won their first three games but will come up against much stronger opposition in the next few weeks. On Friday last they narrowly beat Dromahaire and on the previous Monday had a comprehensive victory over Leitrim Gaels. The panel and scorers on the Monday game was, L Bohan, D Scott, F Cassells, G Reynolds, J Foy, B Donohue, T McNabola, C Quinn 0-2, C Keegan 1-2, A McCrann 1-3, S Bohan 1-0, K Curran 1-3, M Murphy 1-0, C Macklin 1-2, A McCrann 0-1, D Duignan 0-1, B David 1-0, B Logan, A Looby. Next Friday they meet St Mary’s in Pairc Philib MhicAonghusa. 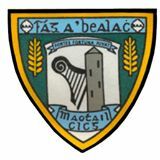 Under 13 Reserves – Mohill came out tops in this Shield Final on Friday last in Pairc Seán. This was a very entertaining game with both sides showing the benefit of underage coaching. The lead changed many times but on the final whistle the Mohill boys were two goals up and the celebrations began. The panel and scorers was, J Rowley, J McCrann, C Donohue, A Kiernan, T Mayock, C Walpole, T Casey, A McGuinness 0-1, L Flynn 0-3, K McCaffrey, H Boyle 1-0, E Kilrane, O Coka 1-0, S Curran 1-1, B McCrann 1-0, J Dimmock, N Mulligan, P Coka, A Wynne, C McNamara, M Murphy 1-1. Minor Ladies – The Minor girls will contest the Shield Final with Drumkeerin in Leitrim Village at 2pm on Saturday next. The girls give massive support to the menfolk so we will expect them to come out in numbers this weekend and the weekend after to cheer on our Ladies in the Intermediate Final. Fundraising efforts – All members will be selling €20 tickets as part of fundraising, First Prize is €3000, Second Prize €1000 plus numerous other prizes. Be generous, we do a great job for everyone. Under 15 – These lads started the week with an emphatic win over a very young St Brigid’s side. The panel and scorers was, S Moran, D Scott, F Cassells, G Reynolds, B Donohue ,D Duignan 0-3, T McNabola, C Quinn, C Keegan 1-1, A McCrann 0-3, S Bohan 1-6, K Curran 0-2, A Looby, C Macklin 1-0, M Murphy, B David, A McCrann. Senior Championship – The senior team by topping the table will meet Allen Gaels on Saturday next in Pairc Seán at 4.30pm in the quarter-final of the Championship. Support as always is needed. Mohill Ladies – Coming into Sunday’s game, Mohill ladies were complete underdogs but they used this tag to their advantage and left a bigger stronger Carrick/Bornacoola side chasing shadows at the end of an exciting Intermediate semi-final. Their level of fitness has improved greatly under the management of the Canning brothers, Gary and Shane. Every player gave it their all and it was a great team effort but the presence of Dearbhille Beirne, one of “Ireland’s Fittest Family” and soccer international was an added bonus as she broke the hearts of her markers, scoring 3-4 of the total of 4-8. The panel and scorers was, M Hackett, E Gordon, M Stenson,C Beirne, S Doyle, C Canning, O McGuinness, C Quinn ,E Quinn 0-1, S Boyle 0-1, M Beirne, R Stenson 1-1, C Mitchell, D Beirne 3-4, N Beirne 0-1,L Casey, G Stenson, A McGuinness, S McNabola, C Mulligan. . They now play St Francis in the final in two weeks time. Under 13 – This bunch of lads entertained us all year winning most games and playing wonderful football. On Monday last in the semi-final of the Championship they hit an off day and were beaten by St Mary’s. Admittedly they encountered a magnificient Carrick team who had all the skills on show on the night. The boys were disappointed but there will be great days ahead for these young men. The panel and scorers was, L Bohan, M Tiernan, A McGuinness, A Mulligan, L Flynn, C Donohue, C Walpole, E Duignan 0-1, J Rowley 0-1, K McCaffrey, M Murphy 1-4, E Kilrane,C McNamara 0-1, S Curran, D Casey, H Boyle 1-0, J McCrann, T Mayock, A McCrann, B McCrann, P Coka. Man of the match was the goalie Luke Bohan. Thanks to Paul Murphy and John McGuinness who coached the boys all year. Junior A –The Junior team bowed out of the Championship on Saturday last with a heavy defeat at the hands of Glencar-Manor. The absence of top scorer Colm Beirne did not help, but Manor’s second string was way too strong for our third team. Thanks to Shane Quinn and Domhnaill Flynn who looked after this team during the year. Padraic Davis – Congratulations to Padraic Davis, Mohill’s very successful Manager for the last three years who in now at the helm of the Longford County panel. Lucky Longford. Under 15 – This Championship is only underway now so we will have games on Tuesdays and maybe other days. Lotto – No Jackpot winner. Numbers drawn were 1-4-6-18. Lucky dip winners were €70 Dylan and Milly Lynch Ballinalee. €40 Jim and Mary Foy Cloone. €20 Paul Murphy Mohill. Fundraising – As there has not been any big fundraising this year the Club must hold a giant raffle. The tickets will cost €20 and there will be big prizes. Club members will be selling them soon. More details next week. Under 12 Girls – Congratulations to the Under 12 girls who won the Shield final on Friday last. Recent Deaths – The Club extend deepest sympathy to the family of John Hynes who died last week. John was married to Kathleen Mitchell a great footballing family in Mohill and was uncle to players Ronan Gallagher, James and David Mitchell. He worked in Quinns of Mohill for many years before the family moved to Leixlip but always kept close contact with the town he loved so well. May he rest in peace. Richie Flynn RIP – Condolences also to the family of Richie Flynn who died last week leaving behind a grieving wife and two very young children. It is so sad for all his family as his father Liam only passed away a short time ago. Richie was also a member of a great footballing family in Mohill and supported the Club always. Ar dheis Dé go raibh sé. Senior Championship – After a slow start in Ballinamore on Saturday last the seniors finally got the measure of a strong Drumreilly challenge and emerged worthy winners in the end. Intermediate Championship – The Intermediates were beaten by three points in their game with Ballinamore at the weekend. It was a close game all through with all players giving their all. Under 17 – The minor boys collected some silverware on Sunday last when they narrowly beat Dromahaire in the Div 2 Shield final. Dromahaire were ahead for most of the game but our lads showed great heart to dig deep and get this victory. Most of the players are eligible for next year so hopefully 2019 should be a good year for them. The panel and scorers was, S Moran, C Donoghue, F Cassells 1-0, J Murphy, L Ellis 1-1, D Duignan 0-2, G Reynolds 0-1, C Quinn 1-2, S Bohan 0-1, C Keegan, C Mulligan, A Nitche, C Wuabah, A McCrann 0-2, N McNabola, S Curran, D McCrann, Well done to John Baxter, Matt Gaffey and Paul Tighe who looked after these boys all year. Latest arrival – Congratulations to Ursula and Niall Beirne on the birth of their little baby Rían. We wish them joy and happiness. Junior A – The third string made it to the quarterfinals of the championship with a win over a strong Kiltubrid side on Sunday last in Cloone. The panel and scorers were, J Farry, S Kilrane, M McDermott, N Conboy, J Beirne, J McGuinness, J Farrell, P McLoughlin, N Flynn 0-1, C Beirne 0-10, S Canning, C McGuinness 0-1, C Beirne 0-2 J McGuinness 0-1, S Kennedy, S McGowan 0-1, B Beirne. Senior and Intermediate Championships – Mohill play Drumreilly on Saturday next in Ballinamore at 5pm. Support much appreciated. The Intermediates play Ballinamore in Cloone on Sunday at 12pm. Under 13 – These lads were given the points from Manor last week so hopefully, they will be into the semi-final. Under 17s play Dromahire on Sunday venue and time not known at going to press. Senior Championship – Gortletteragh were worthy winners in this championship clash on Saturday last in Cloone. The next outing is against Drumreilly in two weeks time. Intermediate and Junior Championship – Not a good week for any of our adult teams as Inters and Juniors were well beaten in their respective Championship games over the weekend. The Juniors are in action on Saturday next in Cloone with Kiltubrid the opposition. Under 13 – These young men took the long journey to Dromahaire on Thursday last and had a good win over Dromahaire. The panel and scorers was, Aaron McCrann, Michael Tiernan, Adam McGuinness, Aidan Mulligan, Liam Flynn 1-0, Cathal Donoghue, Tomás Mayock, Keith McCaffrey, Matthew Murphy 1-7, E Kilrane 0-1, Harry Boyle 3-0, Senan Curran 1-2, Colin McNamra 0-1, Blaine McCrann, Patrick Coka 1-0, Ondrej Coka, Jack McCrann. Next Thursday they play Manor in Pairc Philib. The reserve team have reached the final of their division. Forthcoming Wedding – Best wishes to our best supporter Bridget Lupton sister of Barry who will wed John McKenna on Saturday next in Drumlish. Bridget made sure her wedding would not coincide with any Championship matches. That’s what you call a true supporter. Under 17 – The Under 17s will contest the Shield final at a date to be arranged. Under 6 – Well done to Claire Quinn who brought her Under 6s to Annaduff, resplendent in their new gear sponsored by Eeiverslane. It all starts with Claire at Under 6. Recent Wedding – Heartiest congratulations to Mark(Leftie)Canning and Kerry who tied the knot with the company of their families in far off Seattle last week. Leftie played for Mohill for some years and still makes guest appearances with The Seattle Gaelic team. We wish them both every happiness. Senior Championship – Another good win was recorded on Saturday last when Mohill played Dromahaire. Next Saturday they play Gortletteragh. Under 13 – These boys beat arch rivals St Mary’s in the Championship on Friday last in Mohill. The panel and scorers was. L Bohan, C Donohue, A McGuinness, M Tiernan, D Casey1-0, E Kilrane, L Flynn, E Duignan 0-2, J Rowley 0-1, C McNamara, M Murphy 2-5, S Curran 1-0, K McCaffrey, B McCrann, H Boyle. Under 17 – The Under 17s kept their hopes alive in the Championship with a good win over a strong Dromahaire team on Monday last. Scorers, S Bohan 1-3, F Cssells 0-3, D Duignan 1-0, N McNabola 1-0, A McCrann 1-3, C Quinn 1-2, C Mcklin 0-1. They play Rinn Gaels on this Wednesday. New Baby – Congratulations to player Kephas Reilly and his wife Joanne on the birth of their baby son Adam recently. We wish them every happiness. Senior Championship – Mohill Seniors had a narrow win over Aughawillan on Saturday last. Both sides were missing key players so a win was a bonus. On Saturday next they play Dromahaire in Drumshanbo at 5.30pm so support is essential. Intermediate Championship – The second 17 were just not strong enough for Annaduff on Sunday and they were well behind in the end. All the players gave of their best, but first teams are always difficult to beat. Next Sunday they meet fellow parishioners Eslin in Fenagh at 12. The friendly rivalry between both sides should guarantee an entertaining hours football. Junior Championship – The junior team suffered the same fate as the intermediate side and also at the hands of Annaduff. Some greats of the past showed off their skills in this group and hopefully they will be around for the next few games. Underage – Both Under 17s and Under 13s were also beaten by Annaduff last week. The Under 17s played Dromahair on Monday last but no result going to press. Under 13 – Annaduff won by two points on Thursday last and were worthy winners, but there were no losers in this brilliant game, that had great footballing skills on show from both teams. Our panel and scorers was, L Bohan, T Mayock, C Donohue, A Mulligan, A McGuinness, L Flynn,C Walpole, M Tiernan, E Duignan, J Rowley, E Kilrane, D Casey 0-1, C McNamara 0-2, M Murphy 2-6, B McCrann 1-0, A McCrann, H Boyle. Recent Wedding – Congratulations to former player Charlene Mulligan who married David Donnelly last week. We wish the many years of wedded bliss with their little babies Chloe and Eoin. Sponsorship –We sincerely thank, ever generous, Adrian McCaffrey who sponsored a set of jerseys for the Under 9s and Eivers Lane that sponsored the Under 9s. All donations are gratefully received. Get well soon – We wish Ryan Murphy a speedy recovery following his accidental head injury in the Intermediate game on Sunday. Liam Flynn RIP – The Club extends deepest sympathy to the family of Liam Flynn Hill St. who passed away last week. Liam played football with Mohill for many years. He won a minor championship in 1954 and went on to play Junior and Senior in the fifties. He was a prominent player when Mohill won the Junior League and Championship in 1957 and he and his family have remained true supporters all his long life. Ar dheis lámh Dé go raibh a anam dílis. Dunnes Bar Div 1 – Mohill played two games last week in this division. On Wed we had a home game against League leaders Glencar/Manorhamilton. This was a fine open game with both sides eager to play football. Mohill won on a scoreline of 1-11 to 2-6. Scorers for Mohill were J Reynolds 1-3, R Kennedy 0-3, D Flynn 0-3, R Gordon 0-1, S Quinn 0-1. On Saturday we met Gortletteragh and the win there was overshadowed by a serious injury to star young player Jordan Reynolds, Jordan sustained a double fracture to his arm so he will be out for a number of weeks and will be a great loss to Mohill. We wish Jordan a speedy recovery. Scorers on the night were, D Flynn 0-4, J Reynolds, C Kennedy, J Mitchell, K Keegan, S Quinn 0-1 apiece. Newtowngore Engineering Under 17 – These lads were missing some key players due to injury when they played Manorhamilton on Monday last, nevertheless those present all played well and with a bit of luck could have pulled off a win but were beaten by a goal in the end. The scorers were, N McNabola 0-3, C Keegan 0-2, K Curran 1-1, A McCrann 0-2, C Macklin 0-2, S Bohan 0-1. Barna Recycling Under 13 – This age group played their first round of the championship and a draw was a fair result 1-12 to 1-12. Our panel and scorers was, L Bohan, A Mulligan, A McGuinness, J Rowley 0-1, C Donohue, M Tiernan, L Flynn, S Curran 0-1, E Duignan 1-3, C McNamara 1-1, M Murphy 0-7, C Walpole, D Casey, D Beirne, B McCrann. The reserve side played very well and had a good win, scorers were, C McNamara 1-3, K McCaffrey 0-3, D Beirne 2-1, S Curran 1-1. Under 11 – It was a busy week for football with mixed results. The Under 11s played their plate semi-final but Northern Gaels of Longford were too strong on the night. Barna Recycling Under 13 – Both Under 13 teams will start their Championship against Leitrim Gaels in Leitrim Village at 7pm and 8.15pm. Dunnes Bar Div 1 – Following their victory over Intermediate Champions Aughnasheelin on Saturday, the Div.1 team will play League leaders Glencar Manor in Pairc Philib at 8pm on Wed night. At the weekend they play away to Gortletteragh. Support as always is essential. Dunnes Bar Div 2 – These men had two games in the last week. They had a narrow win over Bornacoola on Wednesday but were brought down to earth by a lively Cloone on Sunday last. Lotto Results – There was no winner of last week’s Jackpot of €5800. Numbers drawn were 4, 14, 17, 24. Lucky dip winners were €70 Hugh Battrim Keshcarrigan, €40 Catherine Gallagher Mohill, €20 Padraig Reynolds Esker Aughamore. Newtowngore Engineering Under 17 – The Under 17s started their Championship campaign on Monday last with a 1-11 to 1-14 loss to the visiting Glencar/Manorhamilton team. They travel the long journey to Kinlough on Monday 16 to play Melvin Gaels. County Team – The County boys played their hearts out but were up against a strong Monaghan side on Saturday last. The team is young and there will be better days ahead. They can all look forward now to the Leitrim Championships. Under 12 – Allen Gaels were Mohill’s opposition in the Cross Border Shield final last week in Carrick. Having met before in the build-up it was obvious that little would separate these two well balanced teams and in the end and just one point was the winning margin with Allen Gaels winning the laurels on Thursday last. The team and scorers was, C McHugh, T Casey, A Kiernan, F McManus, N Mulligan 2-1, R Walpole, T Mayock, C Walpole 0-2, B McCrann, E Kilrane, K McCaffrey 0-1, R Gordon, D Beirne 2-5, E OReilly. Subs not used, C Tighe, J Dimmock, S Mayock, J Doyle, J Gyasi, H Afford. The younger boys will have their chance on Tuesday next in the other Div Shield Final in Pairc Philib at 7pm. Dunnes Bar Div 2 League – On Wed next Mohill play Bornacoola in Div 2 of the League at 8pm in Mohill. New Arrival – Congratulations to John McGuinness and Niamh Cunningham on the birth of their little baby girl Blaithín. A first grandchild for Phil McGuinness and Marian and Peadar Cunningham. May it bring deserving happiness to all concerned. Farewell to Mary – On Wed last we said farewell to a great club lady, Mary Kennedy and we witnessed one of the biggest ever Guards of Honour in the town. Every team from under 6 up, boys and girls, the County boys and Longford rugby Club lined the Main Street from top to bottom showing their respect to the Kennedy family. Rest in peace Mary. Lotto Results – No winner of the jackpot of €5800 Numbers drawn were 6-19-20-29. Lucky Dip winner were €70 Frankie Keegan Middlesex, €40 Jim and Mary Foy Cloone, €20 Elizabeth Casey Mohill.